The Best Architecture blogs from thousands of top Architecture blogs in our index using search and social metrics. Data will be refreshed once a week. Also check out Architecture Podcasts and Architecture Youtube Channels list for Top videos on Architecture. 2.30 Dailytonic - Your daily Inspiration in Architecture and Design. 2.112 Stephen B. Chambers Architects, Inc. Architecture newsletter is a comprehensive summary of the day's most important blog posts and news articles from the best Architecture websites on the web, and delivered to your email inbox each morning. To subscribe, simply provide us with your email address. About Blog Architectural Digest is the international design authority, featuring the work of top architects and designers, as well as the best in style, culture, travel, and shopping. Facebook fans 4,254,085. Twitter followers 1,959,468. New York About Blog ArchDaily was founded in March 2008 with the mission of delivering the most complete information to architects around the world. Our editorial staff works on a daily basis with the most prestigious and influential architectural practices around the world in order deliver specific and valuable content to a highly specific audience: architects. Facebook fans 2,323,974. Twitter followers 1,672,511. New York, NY // Global About Blog Architizer is the world’s largest online architecture community. With over 40,000 architecture firms that have uploaded 120,000 buildings at an average value of $33 million, Architizer is the premier online destination for architects to search for architecture and building products. Facebook fans 1,859,595. Twitter followers 1,157,406. London About Blog Dezeen is the world's most influential architecture and design magazine. Our mission is simple: to bring you a carefully edited selection of the best architecture, design and interiors projects from around the world. Facebook fans 1,005,176. Twitter followers 920,150. New York About Blog Architecture and design news from New York, California, the Midwest & beyond. The Architect's Newspaper is the most authoritative voice on architecture and design in the United States. AN speaks directly to architects with news, developments, trends, resources, and updates. Facebook fans 687,803. Twitter followers 301,582. London, UK About Blog Decoist is your daily dose of inspiration when it comes to interior design and architecture. You will get to see office designs, luxury villas in exotic places, or tips on how you can improve your small loft. Facebook fans 568,807. Twitter followers 13,158. San Francisco, CA About Blog A community for students, professionals, and lovers of architecture. Facebook fans 1,203,393. Twitter followers 568,564. About Blog Designboom is based in Milan | Beijing | New York. The independent publication for key contemporary issues and critique of all aspects of art, architecture technology and design, especially those topics which enrich the dialogue between creative professionals, industry and society. Facebook fans 1,188,958. Twitter followers 1,178,103. New York City About Blog Architectural Record is the #1 source for architecture news, modern architecture, design architecture and green architecture information for all building types. Facebook fans 627,649. Twitter followers 627,372. About Blog Contemporist is a daily source for architects and interior designers to discover new products and projects in the world of contemporary design. Contemporist has altered the way design industry professionals get their news. By being an online publication, we are able to be the first source to feature new products and projects by contemporary designers from around the world. Facebook fans 196,167. Twitter followers 14,894. Dallas, Texas About Blog This is a blog about architecture, what it's like to be an architect and what it's like to work with an architect. Facebook fans 97,415. Twitter followers 15,807. About Blog Minimalisti.com is an important online magazine that presents the very latest and most exciting works and trends in Interior Design, Modern Architecture, Modern Kitchen and Furniture Design. Facebook fans 7,881. Twitter followers n/a. United Kingdom About Blog The Architects Journal is the UK's leading architecture magazine and is the voice of architecture in Britain. The AJ sits at the heart of the debate about British architecture and British cities, and form opinions across the whole construction industry on design-related matters. Printing the best of British architecture, from small projects to mega masterplans, the sole practitioner to the multi-disciplinary. Facebook fans 27,698. Twitter followers 268,390. Israel About Blog RonenBekerman.com is a source of learning on all aspects of 3d architectural visualization. In the blog & forums you will find articles & tutorials about 3d modeling & rendering with software such as 3ds max, VRay, SketchUP, Maxwell Render, Fryrender, Photoshop and more. This site will fit beginner, intermediate and advanced CG artists. Facebook fans 85,493. Twitter followers 10,058. Facebook fans 57,028. Twitter followers 3,879. About Blog creates a wide variety of pieces for living and for the home, from architecturally inspired homeware, and sculptural jewellery, to limited edition furniture, and innovative installations and interiors. Facebook fans 160,034. Twitter followers 530,923. World About Blog World Architecture Community is a portal aiming to provide a unique environment for architects and students around the globe to meet, share and compete. Facebook fans 17,618. Twitter followers 463,331. New York About Blog Listen to this podcast where Architect Mark R. LePage explores the business of architecture and inspires his success as small firm entrepreneur architects. Facebook fans 5,020. Twitter followers 6,885. About Blog A As Architecture: every day new images and words from the world of architecture. Facebook fans 1,235,737. Twitter followers 6,192. About Blog Bustler, the sister site to the leading architecture platform, Archinect, focuses on keeping the design community busy and inspired. It is the premier online publication for Competition and Event listings in the architecture and design industries. Bustler’s News section tracks activity from around the globe with breaking stories on outstanding competitions and events. Facebook fans 10,427. Twitter followers 5,779. We have 24 offices worldwide. About Blog HOK is a global design, architecture, engineering and planning firm. Through a network of 23 offices worldwide, HOK provides design excellence and innovation to create places that enrich people's lives and help clients succeed. DesignIntelligence consistently ranks HOK as a leader in sustainable, high-performance design and technology innovation. Facebook fans 15,730. Twitter followers 47,652. About Blog Catch up with innovations! Our site is only one click away from the worldwide design and architecture database. We select through our quality filter only what’s new on the market from different and various fields: architecture, product and interior design or gadgets. This is an online information resource for the community of thousands of architects the world. Facebook fans 96,119. Twitter followers 1,767. Facebook fans 295,857. Twitter followers 13,406. Los Angeles, CA About Blog BLDGBLOG (“building blog”) was launched in 2004 and is written by Geoff Manaugh. In addition to this site, I’m the author of two books—the New York Times-bestselling A Burglar’s Guide to the City and The BLDGBLOG Book—as well as editor of a third, Landscape Futures: Instruments, Devices and Architectural Inventions. Facebook fans n/a. Twitter followers 43,622. Surrey, England About Blog Specifier Review publishes news and views from the built environment. Showcasing the latest architectural projects, building product innovations, video presentations and informative articles from building product manufacturers and construction industry specialists. Facebook fans 12. Twitter followers 19,274. Portland Oregon About Blog This is a blog about being a Young Architect and how to be successful at school, work, and life! Facebook fans 125,651. Twitter followers 6,560. About Blog Busyboo set out to rediscover the power of simple design. Simple, uncomplicated design with a touch of aesthetics. And most importantly, practical. Our mission is to be a source of inspiration for good design, both inside and out. By exploring architecture, interior spaces, and product design, not only do we share creativity and beauty but also address different aspects of living in today’s world. Facebook fans 6,870. Twitter followers 646. Toronto, Ontario About Blog ARCHITECTURE LAB is an online architecture and urban design magazine dedicated to architecture, urban design, research studies & sustainable design. We bring you a carefully edited selection of the best architecture projects, news and events from around the world. Facebook fans 632,194. Twitter followers 78,380. UK About Blog Urban Realm is aimed at those people who have a genuine and serious interest in architecture, whether that is the buildings themselves, the clients and communities they serve or the people that work with, for or supply to the influential architectural profession. Facebook fans 1,726. Twitter followers 10,106. 30. Dailytonic - Your daily Inspiration in Architecture and Design. Zurich About Blog dailytonic.com is a project by Architonic AG Zurich. The name says it all: dailytonic aims at providing you with daily inspiration. dailytonic focuses on project-relevant information for architects, interior designers, furnishing specialists and planners. Only the best projects, products and materials are selected for publication. Facebook fans 777,515. Twitter followers 140,095. South East Washington About Blog Plastolux was started in 2007 by founder Tyler Goodro in a desire to feed his passion for mid century modern and contemporary design found in architecture, interiors, furniture, objects and art. Facebook fans 10,992. Twitter followers 1,567. Facebook fans 4,455. Twitter followers 6,330. Chicago About Blog The Chicago Architecture Blog is an online publication that chronicles the urban life and development in Chicago. While its focus is often the downtown areas of Chicago, this is an accident of geography and not policy. We are interested in all areas of Chicagoland and beyond. Facebook fans 3,797. Twitter followers 4,552. The Netherlands About Blog Interior Design & Architecture Blog. Run by Astrid. Facebook fans 1,934. Twitter followers 183. Facebook fans 2,607. Twitter followers 3,165.
International About Blog RMJM's mission is to connect people, places, contexts and cultures to create dynamic modern Architecture that enhances everyday life. RMJM is one of the largest, most geographically and culturally diverse Architectural Practice in the world. Facebook fans 7,236. Twitter followers 1,821. Mumbai, India About Blog Volume Zero is an online design magazine featuring architecture,interior design, product, furniture, landscape design and building material technology from all over the world based in India. Facebook fans 16,236. Twitter followers 481. Australia About Blog Habitus explores the best residential architecture & design in Australia / Asia Pacific; interior design, house architecture, architects, designer hunters. Facebook fans 35,432. Twitter followers 5,580. About Blog Archute is a leading architecture source for the latest news, projects, products, information & resources for architects and designers. Boulder, CO About Blog The Boulder Colorado architects of HMH Architecture Interiors infuse traditional design with modern sensibility – creating “Colorado Modern" architecture. Facebook fans n/a. Twitter followers 192. Facebook fans 5,589. Twitter followers 2,009. Madrid & New York About Blog Hidden Architecture attempts to recover any kind of building, project, thought or theory including an important and worthy value from our point of view. Facebook fans 17,122. Twitter followers 1,313. UK About Blog Municipal Dreams celebrates the efforts and achievements of UK's early municipal reformers. Facebook fans 249. Twitter followers 6,597.
greensburg, pa About Blog Exploring and sharing how architects think. Run by Lee Calisti. Facebook fans 937. Twitter followers 1,922. New York City About Blog (Almost) daily architectural musings and imagery from New York City. Run by John Hill. Facebook fans 13,836. Twitter followers 11,292. Washington DC About Blog A residential architect obsessed with design. Be the change you want to see in the world!! Facebook fans n/a. Twitter followers 829. Los Angeles, CA About Blog Our mission is to celebrate and promote an awareness of progressive architecture and design through exhibits, educational programs and public outreach. Facebook fans 76,240. Twitter followers 2,538. Facebook fans 673. Twitter followers 1,684. Toronto About Blog Run by Brandon G. Donnelly. I am an architect-trained and tech-obsessed real estate developer. This is my daily blog for city builders. Facebook fans n/a. Twitter followers 3,951. New Zealand About Blog Escea makes remarkable and beautiful gas fires. They have a gas fire that will suit your home – from the powerful multiroom DX Series that provides a centrepiece for your living area, while ducting heat to other rooms, to the AF Series that will make your living room feel intimate and cosy. Facebook fans 6,199. Twitter followers 916. About Blog Grow as an architect, designer or student. Get updates related to architecture jobs, design, portfolios, courses, career and more. Facebook fans 1,995. Twitter followers 13. UK About Blog The Twentieth Century Society exists to safeguard the heritage of architecture and design in Britain from 1914 onwards. Facebook fans 4,019. Twitter followers 9,899. Providence, R.I. About Blog This blog – written by David Brussat - An experienced writer and editor working for some of the nation’s most accomplished architects and design theorists – aims to promote a revival of classical and traditional architecture in Providence, R.I., and around the world. Royan, France About Blog Florence advises private and commercial clients in regards to contemporary interior design, decoration and styling, with services ranging from light make-overs to complete renovation projects. In 2011, Flodeau becomes her personal online space and blog focusing on contemporary design, interiors, architecture, travel and other miscellanies that inspire her from across the globe. Facebook fans 9,374. Twitter followers 2,884. London, England About Blog Urbanist Architecture provide specialist advice and services for planning permission applications, planning appeals, architectural design and interior design. Facebook fans 566. Twitter followers 2,400. Melbourne About Blog To raise the profile of Mid-Century design and Modernist principles in Australia. We want to see the integrity of these buildings in our suburbs, country and the coast acknowledged and preserved. Facebook fans 15,507. Twitter followers 719. Morris Plains, NJ About Blog Architect for home additions, new construction & alterations showing a variety of styles. Aric Gitomer Architect LLC wants to work with you to create your vision. Facebook fans 84. Twitter followers 157. Melbourne About Blog About architects and architecture in Australia. Bleuscape is a design practice implicitly driven to achieving relevant architecture through a dynamic response to environment and our clients needs. Facebook fans 520. Twitter followers n/a. About Blog Exklusive Luxusimmobilien in Berlin, Düsseldorf, Hamburg & Kempen. Hochwertige Eigentumswohnungen, luxuriöse Villen und Apartments in werthaltiger Top-Lage. About Blog Since 1997, CADdetails has been dedicated to organizing and enhancing building product information to simplify the design and procurement process. The CADdetails blog aims to inspire ideas for design professionals. You can find the latest cutting edge projects, innovative product design, and updates on industry trends. Facebook fans 756. Twitter followers 1,040. Washington, DC About Blog Covering interiors, design and architecture in our capital. Run by Jennifer Sergent. Facebook fans 1,385. Twitter followers 2,248. Austin, TX About Blog Blog by Heimsath Architects, an Austin, TX, professional architecture firm specializing in church building and community design. Our mission is to create lasting and spirit-filled places for congregations, communities and families. We believe in creativity through collaboration, as we effectively guide our clients through all phases of the building process. Facebook fans 278. Twitter followers 211. Clerkenwell, London About Blog RIBA Chartered Architects creating exceptional architecture in London and the South East, including extensions, refurbishments and new build developments. Facebook fans 84. Twitter followers 1,778. Victoria, Australia About Blog WOLF ARCHITECTS architect firm is an award winning international practice with its headquarters based in Melbourne, Australia. From small low cost houses to high rise commercial and high end multi-level residential projects, we aim to surpass client expectations. Facebook fans 1,055. Twitter followers 74. About Blog Architectural 3D Rendering Blog. We are trying to share our knowledge and insight from the Archviz Industry, something like a learning corner. We help architects and real estate developers to showcase the unbuilt projects by delivering high quality visual support. Facebook fans 3,373. Twitter followers n/a. Madison, WI About Blog Michael Ford, The Hip Hop Architect, is dedicated to stimulating cross disciplinary discourse on the intersection of hip hop culture and architecture. BrandNu Design is a blog focused to Ford's research and lecture series titled Hip Hop Architecture. Facebook fans n/a. Twitter followers 2,733. San Antonio, Texas About Blog Michael G. Imber, Architects is a modern classical design firm based in San Antonio, Texas. We are a studio of individuals sharing a commitment to cultural memory and to the continuum of traditional architecture and urbanism. It is our belief that craft, material, environment, and place are at once a given inheritance and a compliment to our modern lifestyles. Facebook fans 1,446. Twitter followers 549. Portland, OR About Blog A blog about design in the Rose City. Facebook fans 1,266. Twitter followers 1,119. About Blog Barnes Vanze Architects specializes in residential, institutional and boutique commercial design. We help discerning residential and commercial clients live, work and play more beautifully and functionally, through the power of architecture. Facebook fans 650. Twitter followers n/a. Norway About Blog A blog about architecture and design in Kerala. Facebook fans 4,579. Twitter followers n/a. Winnipeg, Victoria About Blog Number TEN Architectural Group is an integrated practice of architecture, planning, strategic advisory services, interior design and visual communications with offices in Winnipeg & Victoria. Facebook fans n/a. Twitter followers 1,110. Toronto, Ontario About Blog This blog shares architecture and travel stories. It has curated over 100 MUST-SEE CITY GUIDES with the best contemporary and traditional buildings and places that should be part of any trip. Facebook fans 48. Twitter followers 1,262. Southampton, England About Blog Snug Architects is a dynamic architects practice based in Totton, Hampshire. We are committed to working with you to develop and realise the full potential of your project. We have a reputation for delivering high quality and innovative architecture. Our talented team bring a fresh and creative approach to design, consistently delivering high quality projects at a range of scales. Facebook fans 249. Twitter followers 646. About Blog Violetta Breda is the creator of Architempore. Architempore is a blog, an architectural design studio and a construction company. On my blog you will only find content created by me or my collaborators , totally in line with my life philosophy. Facebook fans 789. Twitter followers 14. Scottsdale, AZ About Blog Urban Design Associates, Ltd. is an architectural firm in Scottsdale, Arizona, specializing in custom residential home design. Lee Hutchison, A.I.A. is the principal architect, proclaimed as Master of the Southwest by Phoenix Home and Garden magazine, and has led his award winning staff to annual recognition by the National Homebuilders Association. Facebook fans 854. Twitter followers 118. Cincinnati, OH About Blog Welcome to the Historic LDS Architecture blog! This blog studies significant architecture in the Church of Jesus Christ of Latter-day Saints (also known as the LDS or Mormon Church). This includes temples, tabernacles, meetinghouses, and other buildings. Australia About Blog Eckersley Garden Architecture is a boutique landscape design firm in Melbourne that brings a revitalised approach to landscape creation from Rick Eckersley. Facebook fans 1,202. Twitter followers 430. UK About Blog Clare Nash Architecture Ltd is based in Brackley in rural South Northamptonshire on the Oxfordshire border. Specialising in rural architectural design, particularly eco-refurbishment and new build, CNA design focus takes inspiration from the vernacular. Focusing on people, site, climate, location, context, sustainable and beautiful materials to produce buildings that sit well in their surroundings and suit the people who reside in them. Facebook fans n/a. Twitter followers 877. Vancouver, BC About Blog Hapa Collaborative is a landscape architecture and environmental design practice established with placemaking, attentiveness and collaboration in mind. Facebook fans 895. Twitter followers 684. San Francisco About Blog Welcome to the Fougeron Architecture blog–principal Anne Fougeron uses this space to talk about her thoughts on the intersection of architecture and every day life. With over 30 years of experience in the field, she maintains that her keen sense of humor has helped maintain her sanity. Anne Fougeron is of French heritage and was born in the Netherlands. Facebook fans n/a. Twitter followers 2,146. About Blog This is a blog dedicated to providing resources to upcoming architecture students and trying to make available the things that I felt lacking during my own experience. Facebook fans 1,060. Twitter followers 90. About Blog DeMotte Architects is a design firm based in Ridgefield, CT specializing in Residential Architecture serving Fairfield and Westchester Counties. The firm is known for creating homes and spaces of simplicity, grace & beauty, not being limited to a single style. Facebook fans 556. Twitter followers n/a. About Blog This blog is dedicated to short stories about architects rather than focused on their buildings. Most of the stories are based upon true events and are written in an abbreviated format, often derived from much more detailed sources, which are noted at the end of each article. Takoma Park, MD About Blog This space is your resource for building sciences, homeowner tips and architectural software and technology. We pride ourselves on educating and informing our community about architecture and architectural concepts. From remodels, to renovations to home improvement, we can help bring your project to life. Facebook fans 85. Twitter followers 76. About Blog Modern architecture concept - Interior design ideas, home design decorating photos and pictures, home design trends, and contemporary world architecture news for your own inspiration! Facebook fans 27,359. Twitter followers 1,246. About Blog Since 2003, Square One has been working with numerous renowned architects and builders. Over the years we have had the great experience of meeting many interesting people in the industry, and we have been privileged to be associated with them in their creations. About Blog Georgian priories, petrol stations in Church Stretton, bus shelters in Leicester and prefabs in Brockworth; writer Philip Wilkinson’s blog honours all English architecture equally. English Buildings helpfully includes a series dedicated to different architectural eras, should you want to work your way from Saxon churches to Battersea Power Station. Oegstgeest, Nederland About Blog Welcome to Architect Gadgets, where you will find gadgets for Architects from Amazon, chosen to improve the Architect work life. Facebook fans 174. Twitter followers 131. Facebook fans 207. Twitter followers n/a. London, England About Blog Arthitectural Photographer UK. London Interior and Architectural Photographer Joas Souza lastest news and updates about his work. Facebook fans 875. Twitter followers 128. About Blog LEAP Architecture was founded in 2003 by Eric Davenport, and built on his passion for elegant-clean design, green building practices, and creating spaces that serve people. Eric is an Albany, NY Architect, serving the greater Eastern corridor, from NYC to the lower Adirondacks. Zurich About Blog We live in a world where furnishings, fittings and materials proliferate. It’s become a full-time job, keeping track of what’s out there. That’s where Architonic comes in. With our international network of architecture and design professionals, all keeping an expert eye on what’s new and, more importantly, what’s good, we’ve hand-picked the finest designs the market has to offer. Facebook fans 902,630. Twitter followers 156,009. Facebook fans 93,856. Twitter followers 420. Adelaide, South Australia About Blog Welcome to the School of Architecture and Built Environment at the University of Adelaide. Become an Architect in Australia - study our undergraduate Bachelor of Architectural Design and choose a postgraduate degree in Architecture, Landscape Architecture, Planning or Urban Design. We research sustainable built environments, design research and learning, Middle Eastern and Asian architecture..
Facebook fans 135,329. Twitter followers 47,549. Roma - Bologna - WW About Blog ArchiDiaries is a place for documenting, sharing, and reflecting various academic processes participated by author; architectural studios, thoughts. Facebook fans 212. Twitter followers 263. Arlington, VA About Blog Residential and small commercial architectural design located in Northern Virginia. Facebook fans 9. Twitter followers 16. Rotterdam, The Netherlands About Blog Architects for Urbanity (AfU) is a Rotterdam-based collaborative design and research office founded in 2015 by Irgen Salianji, Karolina Szóstkiewicz and Marina Kounavi. AfU's work focuses on the analysis and design of cultural and mix-use buildings, as well as the research of the urban qualities that drive our contemporary cities. Facebook fans 5,094. Twitter followers 274. Nationwide About Blog Welcome to Zanoply, London who handcraft planning applications to secure planning permission for contentious residential projects. Facebook fans 100. Twitter followers 297.
global About Blog MIMOA, www.mimoa.eu, is the online user-generated guide to the world's Modern Architecture, providing the exact addresses and interactive maps to visit buildings, interiors, squares, parks and bridges. It is the best source of information for your cultural city trip with all Modern Architecture in one view. Facebook fans 5,588. Twitter followers 4,915. Raleigh NC and beyond. About Blog Architecture & Design firm- Equating appropriate design and building as a client's philosophy our work. Facebook fans 677. Twitter followers 1,295. United Kingdom About Blog A multi-faceted design blog that focuses on architecture, furniture, technology, art and industrial design. In depth, balanced, quality articles on some of the freshest design projects. Facebook fans 6,224. Twitter followers 2,825. Chennai, India About Blog A blog on Architecture and Glass, by Saint-Gobain Glass India. Architecture defines the civilization and culture as much as it defines the landscape. This blog, brought to you by Saint-Gobain Glass, intends to provide you with insights and the trends in architecture with focus on glass. Facebook fans 236,080. Twitter followers 2,944. Global About Blog The blog of workplace design from IA Interior Architects. As interior architects, IA's approach to design is exclusively focused on how the aesthetics and organization of a space can reflect brand, improve efficiency and productivity, reduce churn, increase employee satisfaction, and support sustainability. Facebook fans 9,471. Twitter followers 14,723. Facebook fans 16,035. Twitter followers 4,130.
merchantville, nj About Blog We are committed to making modern home designs available to a wider community of homeowners who can not find modern houses through the usual sources where you buy a home, or shop for house plans. This is an affordable alternative to hiring a designer to create a custom design for those who can not afford such services. Austin, Texas About Blog Matt Fajkus Architecture is an award-winning Austin firm with licensed architects. We research and design sustainable residential, commercial, and restaurant architecture. Facebook fans 24,617. Twitter followers 2,858. Canada About Blog Core Architects Inc is an award-winning group of architects and interior designers based in Toronto. Since our formation we have quickly distinguished ourselves by our innovative yet thoughtful design solutions. Facebook fans 842. Twitter followers 2,719. San Francisco, CA About Blog The Knowledge Architecture Blog is edited by the staff of Knowledge Architecture, a software company that builds intranets for architects and engineers. Knowledge Architecture also produces KA Connect, a knowledge management community and conference for the AEC industry. Facebook fans n/a. Twitter followers 2,129. Facebook fans 2,500. Twitter followers 90. Facebook fans 1,873. Twitter followers 4,241. 112. Stephen B. Chambers Architects, Inc.
Dallas, TX About Blog Texas residential architect specializing in modern and traditional design, and preservation. About - What started as a platform to collect the most important information to help architects create better architecture, became a fast growing technology company that delivers inspiration, tools and knowledge to the 10 million architects that visit and use ArchDaily each month. About - (Almost) daily architectural musings and imagery from New York City by John Hill. About - Architect-US The Blog serves as a forum for the exchange of Architect-US participants experiences, ideas and resources, addressing global challenges and bringing the Architectural world closer together. About - Architecture and design news from New York, California, the Midwest & beyond. The Architect's Newspaper is the most authoritative voice on architecture and design in the United States. AN speaks directly to architects with news, developments, trends, resources, and updates. About - The Architects’ Journal is the UK’s leading architecture magazine and is the voice of architecture in Britain. About - Decoist is your daily dose of inspiration when it comes to interior design and architecture. You will get to see office designs, luxury villas in exotic places, or tips on how you can improve your small loft. About - Seven Architecture was established by Martin Wood, Ian Chapman and Simon Parker in 2006 and has built a reputation for well considered design work, within both public and private sectors. About - The world's most influential architecture, interiors and design magazine. About - Canadian Architect is a magazine for architects and related professionals practicing in Canada. About - We're all about Canadian green building: both non-residential and residential construction, new and renovated. We also operate the annual Canadian Green Building Awards Program. About - AZURE is a leading North American magazine focused on contemporary design, architecture, products and interiors from around the globe. About - Read our blog for tips on business accounting, audits, corporate taxes & more, plus learn more about Crowe MacKay LLP&'s community involvements. About - The Local Project was born out of a desire to showcase Australia’s rich design industry. We span architecture, interiors, product design, and are one of the fastest growing design based platforms. Driven by curious and innovative creatives, we seek to champion the best from industry leaders & emerging designers alike. About - A blog about architecture, with an emphasis on issues of sustainability, and an Australian bias. About - Eckersley Garden Architecture is a boutique landscape design firm in Melbourne that brings a revitalised approach to landscape creation from Rick Eckersley. About - The Design Files covers Australian design in all its forms – from architecture and interiors to gardens, food, fine art and craft. About - Suzie Hunt blogs about architects, design, interiors, living ... and whatever else takes her fancy. About - Architectural Design magazine from India discover the latest and versatile Architectural Design projects throughout country. About - A blog about architecture and design in Kerala. Kerala architecture. Architectural writing. About - Volume Zero is an online design magazine featuring architecture,interior design, product, furniture, landscape design and building material technology from all over the world based in India. About - About house plans, interior designs, house design plans, by leading architects Bangalore. CONGRATULATIONS to every blogger that has made this Top Architecture blogs list! 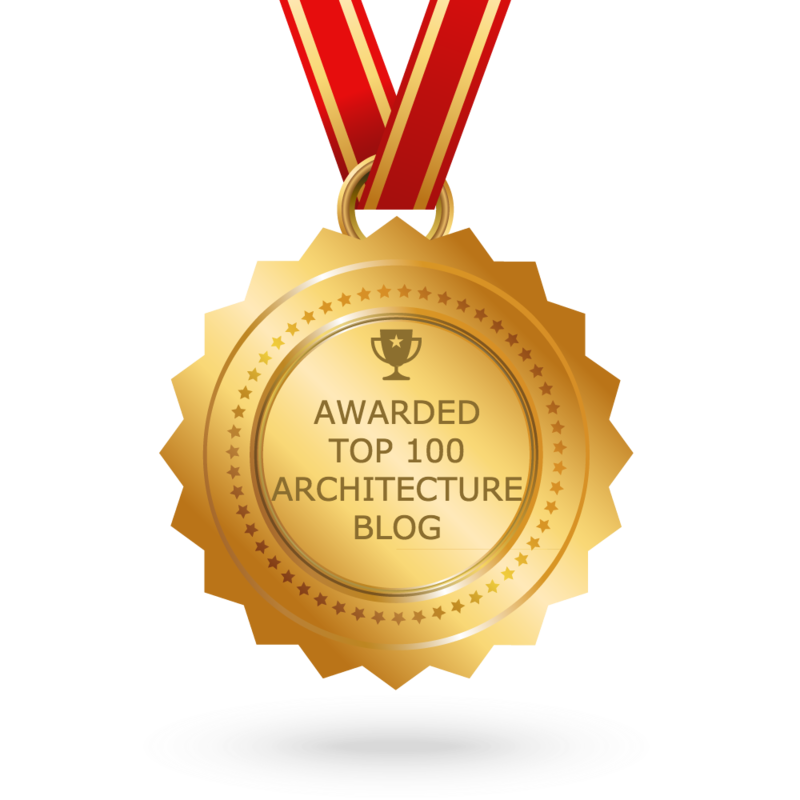 This is the most comprehensive list of best Architecture blogs on the internet and I’m honoured to have you as part of this! I personally give you a high-five and want to thank you for your contribution to this world.